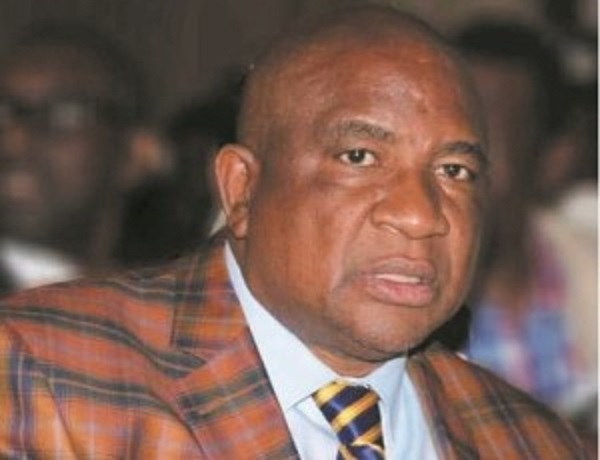 ZIMBABWE – HARARE – Businessman Phillip Chiyangwa was on Saturday elected ZIFA president after beating his nearest rival Trevor Carelse Juul by 27 votes. Chiyangwa got 40 votes, Carelse Juul 13, former ZIFA secretary general Leslie Gwindi 3 and former Warriors kingpin James Takavada only one. Chiyangwa has replaced deposed Cuthbert Dube, who was ousted by the 58-member ZIFA Council, for failing to properly run football in Zimbabwe. Losing candidate Carelse Juul posted a message on Facebook soon after the results of the election were announced. He said, “With great sadness I announce, that we didn’t win what a shocking result. I would like to thank you for all your support and I’m sorry we have not been able to put into play all the things we discussed and implemented what we could have done to bring our beloved football back to its glory days . In the same election, Omega Sibanda got 34 votes while 23 councillors voted for his rival Lincoln Mutasa. In a message on his Facebook page, Sibanda said, “Thanks to all the Zifa councillors, the football fans and the entire Zimbabwe football community for once again giving me the mandate to serve football as Zifa Vice President. As I promised before, I will fight to resuscitate our game return Zimbabwe to its rightful status as one of the giants of Southern African teams. Silent Kamambo, Edzai Kasinauyo, Phillip Mabhena and Philemon Machana were elected board members. Cuthbert Dube won the ZIFA Presidency by 31 to four votes beating Leslie Gwindi. Dube trounced Trevor Carelse Juul by 44 votes to the latter’s 14 during a runoff poll that was declared when none of the four contestants garnered the required two thirds majority to be confirmed outright winner. The first round of the ZIFA elections, saw Dube garner 34 votes, while former ZIFA boss Juul got 14, Harare City Chairman Lesley Gwindi got 10 with outgoing ZIFA board member, Nigel Munyati, failing to get a single vote. Thax .but the election was total unfair. Thnx e real team …u a e stars ..
Shameful to Zimbabwean football, its embarrasing to us soccer loving fans. This is another Dube error again. So sad for Zim football and that explains how unfocused Zifa councillors are. A bunch of stupid losers. What does Chiyangwa know about football?? So pathetic indeed!! In Zimbabwe anything is possible Dr Amai can be the next state president come 2018. Chiyangwa has no exprience whatsoever when it comes to football matters. Unfortunately the decision is made by Zifa councillors for millons of soccer loving Fans. lets hope he will sharp Zimbabwe football Association.l wish him good leadership. lets hope he will not mix Zifa with politics. Its a sad development for our beautiful game. I no longer have trust for the councillors who looked like fair minded people until they proved it to me that they are gud for nothing – electing a nonentity to such a powerful post. Eish,our game is in trouble.these politicians should leave our beloved game alone. Thus bad news for Zim Soccer!Remember what Leo did.Zvakaoma! Congratulations to Comrade Phillip Chiyangwa. Is this the downfall or rise of Soccer in Zimbabwe since he is a Zanu (pf) cadre. Chiyangwa bribed the councilors. This is another Cashbert Dube. i understand it was not influenced like what Dube has did,if it was a clear win,i wish him all the best.